When Telltale Games took on Gearbox’s Borderlands franchise, the result was Tales From the Borderlands, a game that many consider to be one of the best ways to experience the Borderlands universe. One of the two main characters in Tales From the Borderlands is Rhys, a Hyperion employee angling for promotion, instead launched into the madness on the surface of Pandora. 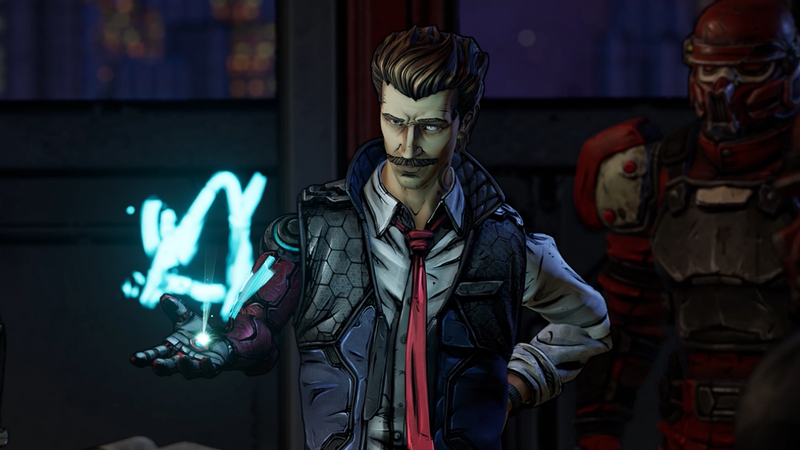 When Gearbox finally revealed Borderlands 3, fans were delighted to see Rhys make a brief appearance sporting a brand new mustache. However, Troy Baker, the original actor behind Rhys, will not be playing the character in Borderlands 3. Revealed on Reddit, a fan at a convention in Australia asked Baker about Rhys’ appearance in the Borderlands 3 trailer and if the actor would return to voice him. “I’m sorry to break it to y’all, that isn’t me,” Baker said. He went on to very candidly, but professionally, say that he doesn’t agree with how Gearbox is handling it, bringing back characters from Tales From the Borderlands without the original actors that brought life to those characters. He specifically mentioned the impact of changing a voice actor on the fans of a franchise, many of whom are now disappointed that Baker won’t be reprising the role of Rhys. “I really want Gearbox to know, if they are going to bring back characters from Telltale’s Borderlands, it should be the people who originated the characters. They shouldn’t just recast willy-nilly, because as a fan that matters to me.” It sounds like Baker wasn’t even approached about the role and found out about Rhys’ return to the series along with the rest of us. At this point, Rhys is the only original character from Tales From the Borderlands that’s confirmed to be coming back (Vaughn is rumored, but not yet confirmed). We don’t know if Fiona will also be returning, though it stands to reason that we’ll see her in some capacity in the full game, as her fate was directly intertwined with Rhys’ in the last scene of Tales From the Borderlands. Are you disappointed that Troy Baker won’t be voicing Rhys in Borderlands 3? Do you agree with him that the actors who originated the characters should get the opportunity to reprise their roles?